The cosmetic consultation process is undergoing a sea change. In addition to the traditional in-office consultation, the doctor-patient connection can take place by phone, email, SKYPE® or FaceTime, and even a chatbot. More aesthetic doctors are offering virtual consultations for patients who are traveling from a distance or have a tight schedule. The most common way is to create a consultation form on the practice website with specific questions and room for the patient to add pertinent details of their goals and requests. Offering the opportunity to send images via a secure server helps to facilitate a more meaningful consultation. A disclaimer should accompany this feature that explains that the alternative consultation method is not a substitute for a face-to-face physical examination and consultation. 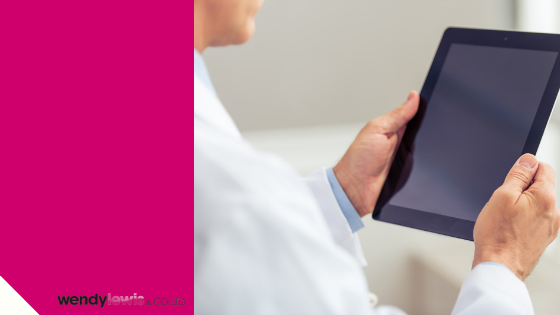 Virtual consultations should be handled in the same manner as office consultations, and an official patient chart should be created. You may decide to charge a consultation fee, or not. In some cases, the consultation fee may be applied to a future treatment. The more patients who are exposed to your practice, the more procedures that will be booked. Patients are busy and less willing to travel far just for a consultation or spend time in waiting rooms seeing several physicians before making a decision. However, they may be very willing to drive for a few hours or get on a plane to have a procedure with their physician of choice, based on his or her reputation, results, and special expertise. Another consultation shortcut is to make a video or slide deck to answer commonly asked questions in detail. These communication tools are then posted on YouTube, SlideShare and social media platforms. Instagram and Snapchat stories may also be used to give prospective patients a glimpse of the consultation process. These apps off stream that are only live for 24 hours. Social media platforms have enabled physicians to be more visible to patients in new and exciting ways. But, regulations have a long way to go to keep up with how fast the practice of telemedicine is changing. Computers, tablets, and smartphones are used daily to discuss patient care and exchange images and other data, but guidelines for the use of these tools do not typically meet HIPAA guidelines for encryption and privacy. Take the necessary precautions to mitigate the risks of private information getting into the wrong hands. For example, third parties that are granted access to patient information hold be required to sign a business associate agreement to ensure compliance. Maintain physical control of your devices. Use adequate security to send or receive protected health information over Wi-Fi networks. Delete all stored protected health information before discarding or reusing mobile devices. Virtual consultations are on the rise, driven by increasing patient demand and convenience. Ignore this wave at your own peril. Need some advice on practice management topics? Reach out to Anne@wendylewisco.com. ARE YOUR TEXT MESSAGES HIPAA COMPLIANT?